← Things are happening up on that roof! Hey! Have you heard about our most recent initiative? We’re recruiting participants for a series of kitchen workshops on canning, pickling, and other kinds of food transformation. Terater is our partner organization that runs the public markets in Verdun and other neighborhoods in the sud-ouest. We will be receiving the leftovers from these markets — produce that isn’t fit to sell, but is still too good to be thrown out! We will be helping reduce the market’s food waste by transforming this produce into food products, at the same time using this as an educational and community-building opportunity! 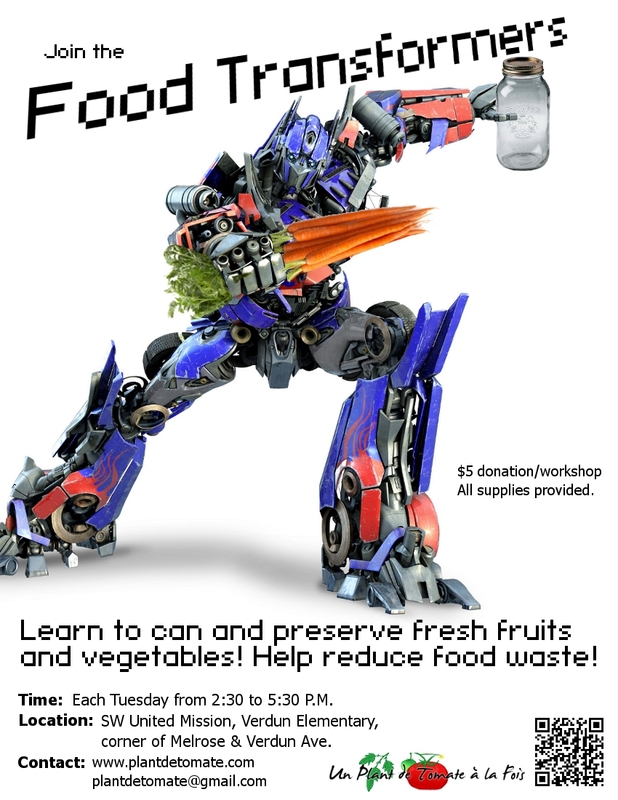 Cooking will take place each Tuesday between 2:30 and 5:30 P.M. at the SW United Mission or at Dawson C.C. All supplies will be provided in exchange for a suggested donation of $5, and you will take home what you create! This week, we were given 2 flat of strawberries. Have you ever wanted to learn how to make strawberry jam? Sign up now!